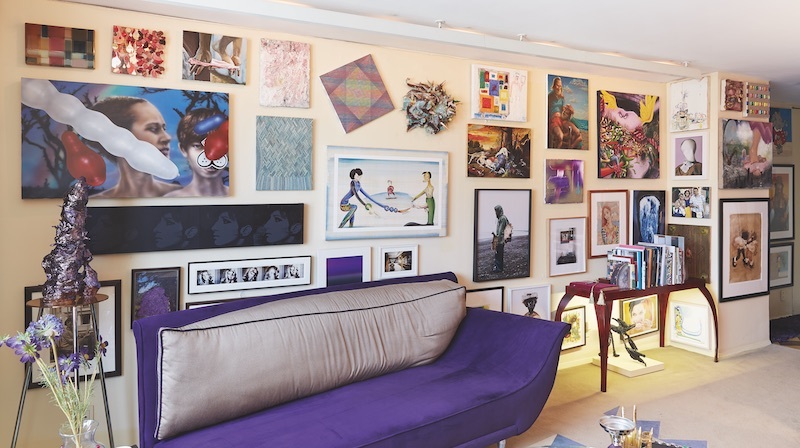 Unlike so many typical Manhattan collectors who present with a veneer of intimidation, Steve Shane is warm and welcoming and, fittingly, the artworks in his collection cuddle up to one another in a cosy, salon style fashion on almost every surface of his home. 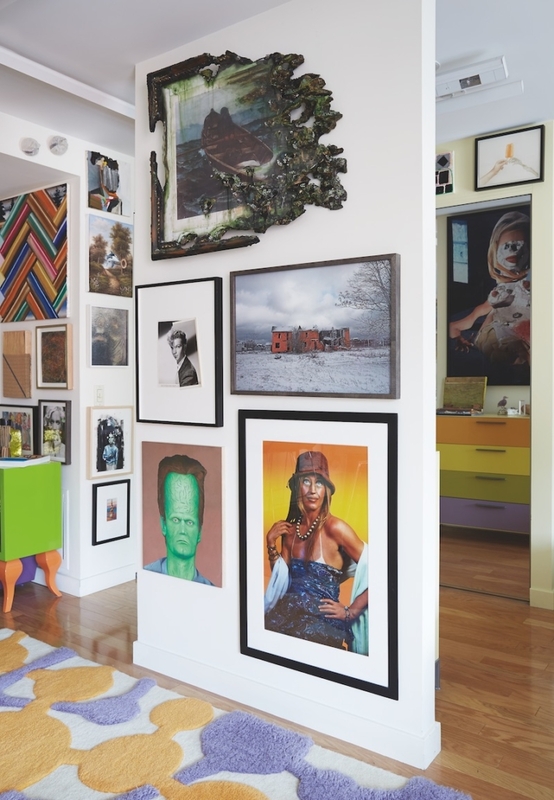 Preferring to be described as “art lover” rather than “art collector,” Shane’s collection straddles that fine line between trashy and tasteful; the rooms of his home are filled ceiling to floor with works that are consistently kitsch and hyperbolic. 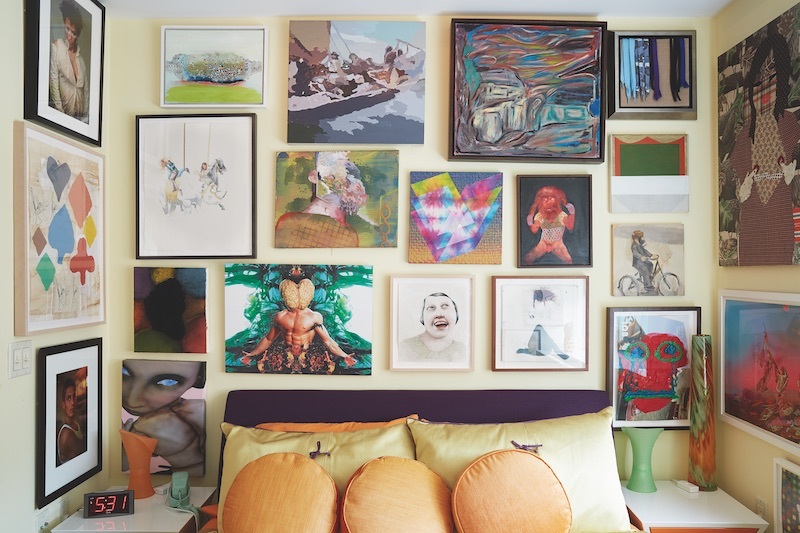 Shane has amassed a colossal collection of more than 1,000 pieces over the course of three decades, with artworks by John Baldessari, Louise Bourgeois, Julian Schnabel, Cindy Sherman and John Stezaker (to name a few) gracing his walls. 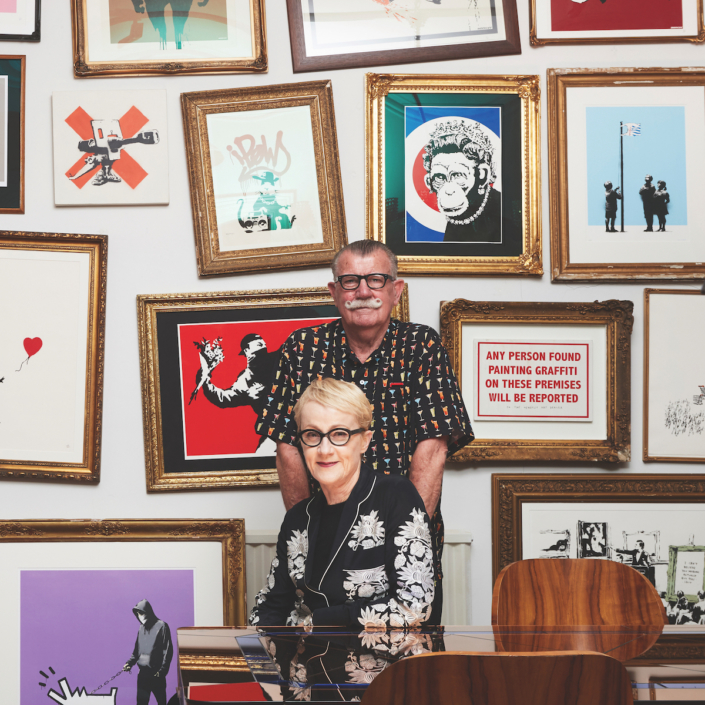 But unlike New York uber-collectors Herbert and Dorothy Vogel, who in their time amassed what has been called one of the most important post-1960s art collections in the United States, Shane keeps no artwork hidden nor in storage. 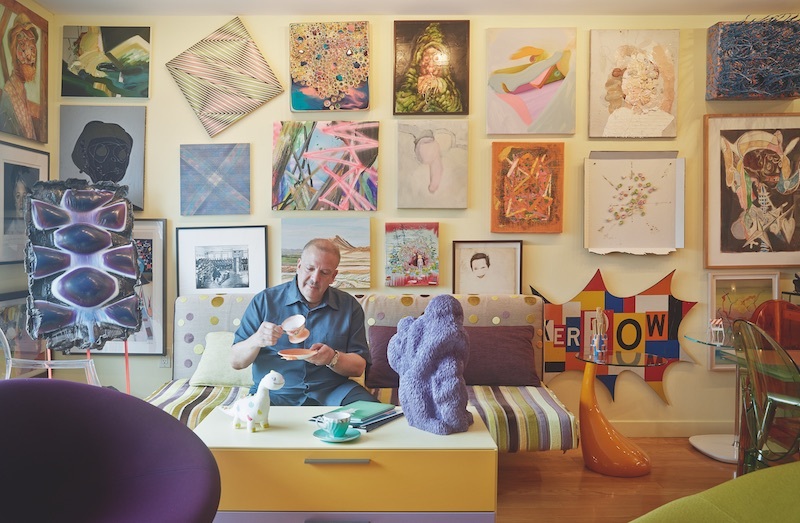 His collection spills out to the homes of his family and friends. 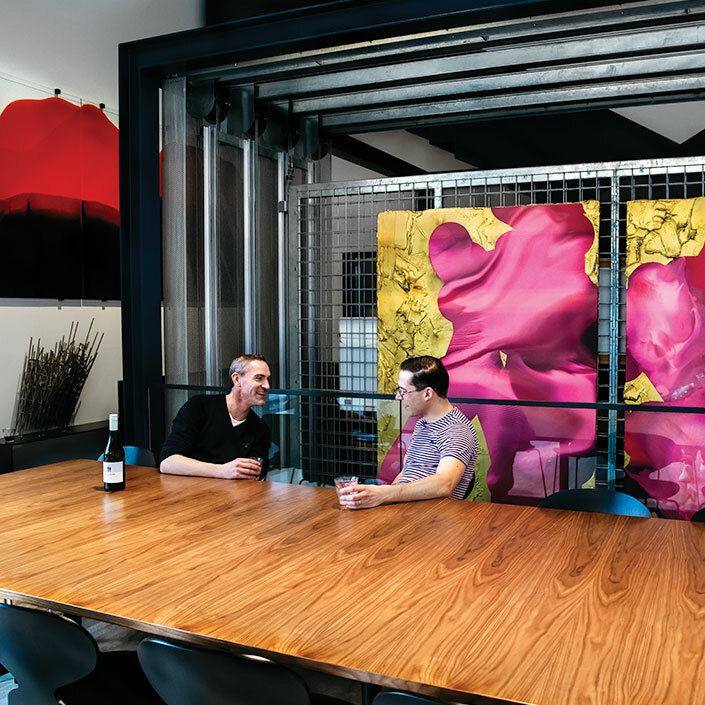 Shane donates artwork each year, including a Schnabel to the Newark Museum, a Grace Hardigan to his hometown at The Detroit Institute of Art and a Peter Nagy to the Whitney Museum. Nothing has given him more pleasure than giving back to the arts community. Shane’s interest in the arts began in high school, inspired by his humanities teacher who encouraged him to learn as much as he could about artists such as Chagall, Rembrandt, Renoir, and Dali. On leaving school he was a regular visitor to the Guggenheim, the Metropolitan Museum of Art, the Museum of Modern Art and the Whitney, exploring their collections for hours on end. He would buy postcards and reproduction posters by the likes of Picasso and Modigliani, which he then plastered across his walls, much like he does now with original works. 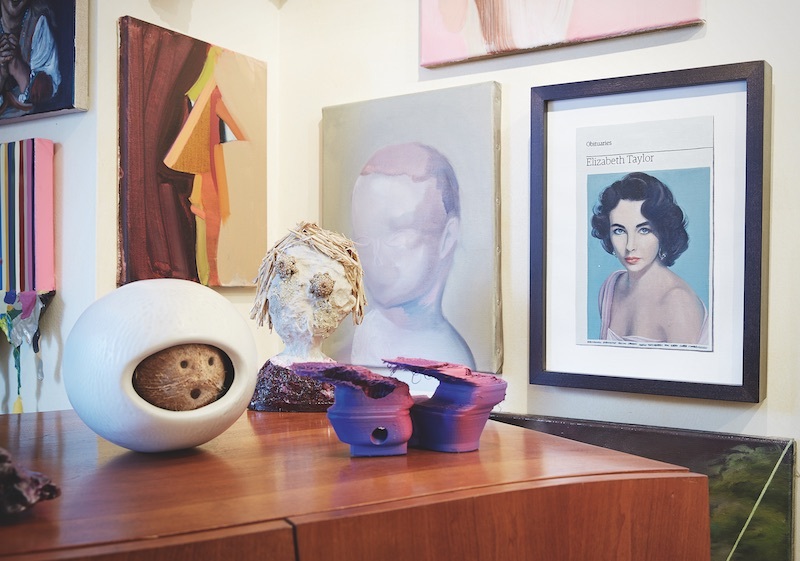 “This collecting thing is essentially about me living with art,” says Shane. 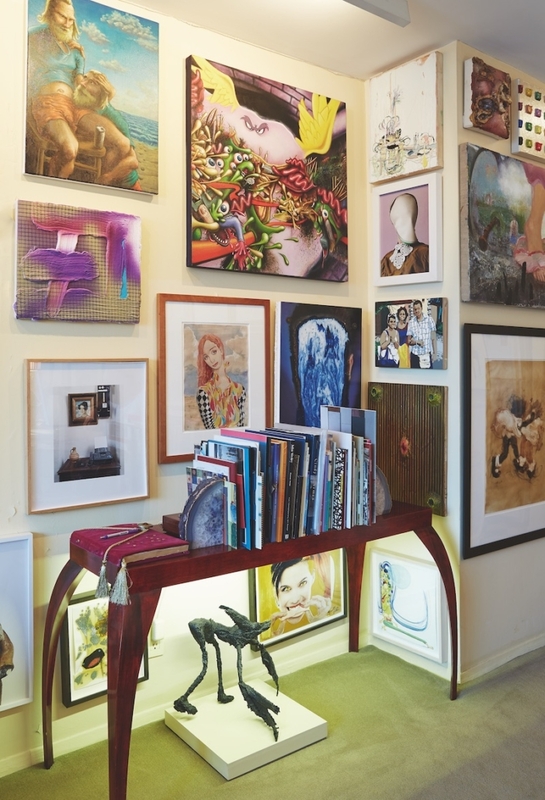 There is something nostalgic and eternally youthful about the way Shane selects and collects his art. He doesn’t collect for the “cool factor”, buying not with his ears but with his eyes and with his heart. “I’m looking for a buzz,” he says. And it’s a very particular kind of buzz indeed. Other recent obsessions of Shane’s include Danish artist Torben Ribe, who describes his own work as “a visual encyclopaedia of fucked up graphic solutions”. Shane came across Ribe at NADA Fair in New York at the booth of Copenhagen’s David Risley Gallery. 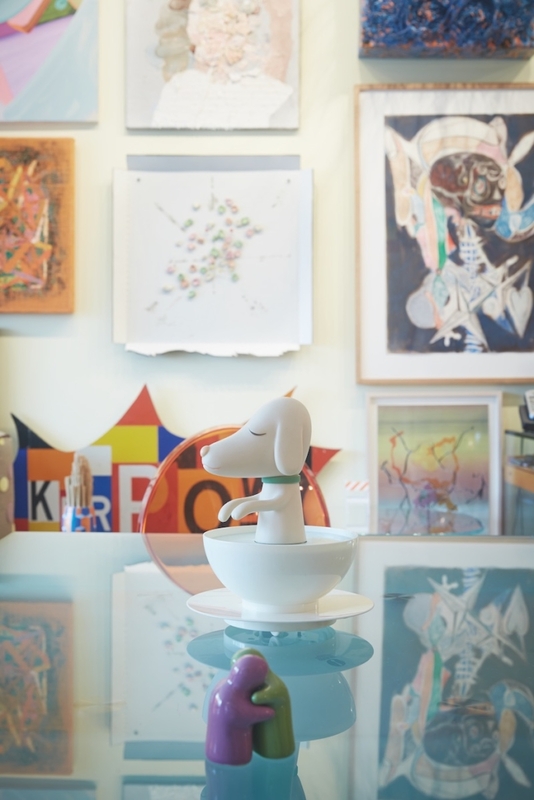 One of Ribe’s works has found a new home in Shane’s kitchen, an apt position given that it features a slice of plastic pizza surrounded by a collage of flower and decorative cake icing. The aesthetics of Wells Chandler and Ribe typify the kinds of strangely theatrical and tactile combinations that have over the decades come to characterise Shane’s collection. 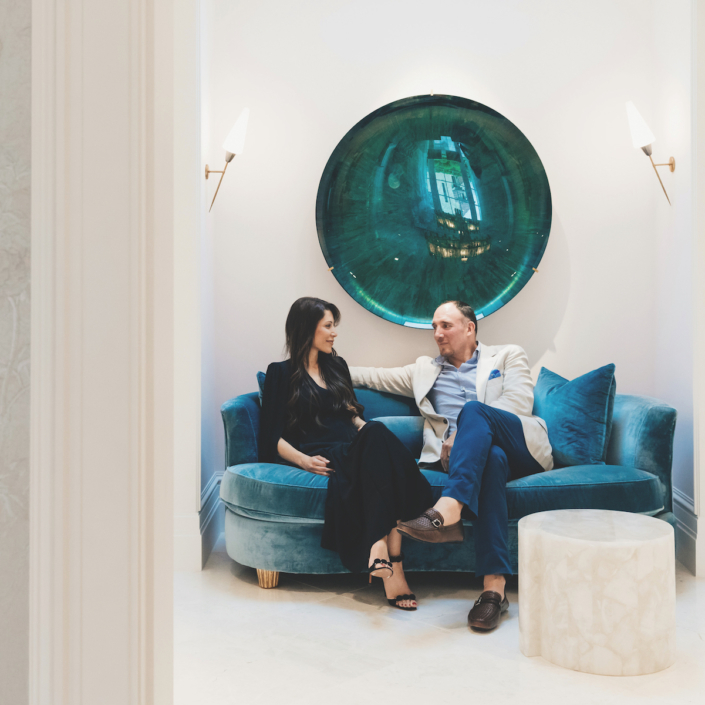 For Shane, it’s the story behind works and their artists that opens up a meaningful connection for this rarefied kind of collector. As I walk away with a handful of his Edvard Munch and Francis Bacon inspired lenticular business cards, I can’t help but agree with this collector’s insistence that he is purely in this for the fun. And for the love.